Its an appealing trek and journey to the fantastic Gokyo valley, Gokyo lakes and Gokyo Ri lying in the Himalayan region and on the west side of the Ngozumpa glacier, the largest glacier of Nepal. The journey begins after we land to Lukla then Namche Bazaar crossing Dudh Koshi river valley. To reach the Gokyo valley, we have to pass through the grazing settlement of Yak to reach Gokyo valley which is one of the most surprising viewpoint of Nepal where we can view Mt. Everest (8848m) worlds highest mountain peak, and the other Himalayas such as Mt Makalu (8463m), Cho- yo (8201m), Gokyo peak, Lhotse, etc. The valley is surrounded by alpine lakes and numerous glaciers. From Gokyo lake, we will head up to Gokyo Ri that provides awe-inspiring Mt. Everest views. We explore the valleys where Sherpas are an inhabitant and encounter their lifestyle, unique culture, tradition and their lovely hospitality. We can view span rgb(246,= 213,= 217);=the panoramicview of the sunrise from Gokyo peak, the valley is a shelter for the yak. Its great if we visit there in the spring season as we can experience special flowers in spring. It is one of the most popular trekking destinations to Himalayan region of Nepal. The trek takes us to the Khumbu valley which is the famous Buddhist villages. The trek begins from Kathmandu to Lukla exploring sceneries then to Namche bazaar which is the gateway to Everest. The trek takes us towards many villages and we get beyond the established trail to the alpine camp beneath the fantastic flanks of Amadablam. 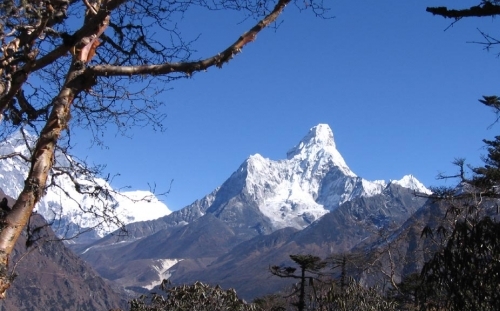 The major point of this trek is Amadablam base camp (4570m). It is a wonderful grassy expanse below one of the world's most iconic mountain profiles. We go through rhododendron forest, river banks and monasteries at Thyangboche from where we can see glimpse of Mount Everest. 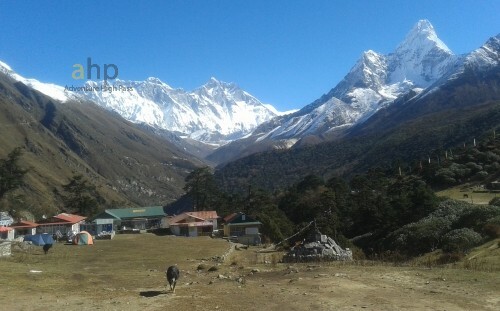 Then, we move forward to Pangboche where we experience Ama dablam base camp with par anomic views across the valley. Then we head to Everest base camp through which we will explore other peaks such as Gosainthan (8013m. ), Cho Oyu (8201m. ), Lhotse (8516m. ), Makalu (843m. ), and Mera peak (6476m.). We will experience lifestyle of Sherpa community and their culture. 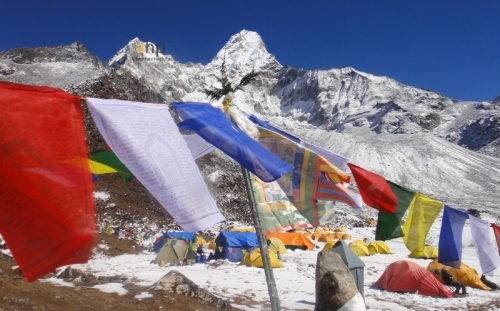 Everest Panorama trek is an attractive and famous trek to the Himalayan region of Nepal. It is a short and adventurous trek for the travelers who want to enjoy their holidays and love natural beauties. 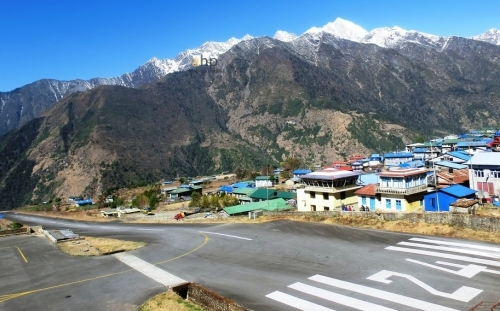 The trail begins with a scenic flight from Kathmandu to Lukla. After we arrive the beautiful Khumbu valley, we follow the fashionable Everest route where we walk through rhododendron forests, river banks and arrive at Sherpa ethnic community of busy mountain town, Namche bazaar via Phakding. As we head forward we will be pleased to see natural and cultural essence of mountains and more towards Tengboche. During the journey, we will also get chance to visit ancient monastery where local people perform daily rituals and prayers. Finally, we will experience world’s highest mountain peak, Mt Everest (8848m) and other mountains peaks such as Amadablam, Thamserku, Lhotse, Nuptse. 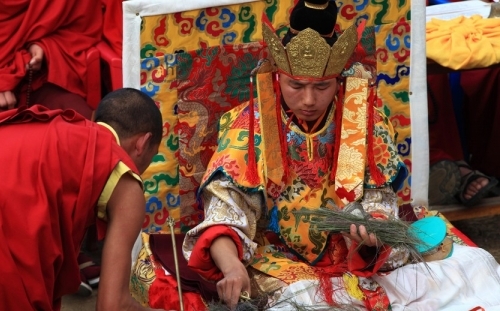 The travelers will get chance to know local Sherpa culture and tradition too. Among many other Everest base camp treks, it is one of the most challenging and difficult trek one would ever experience. 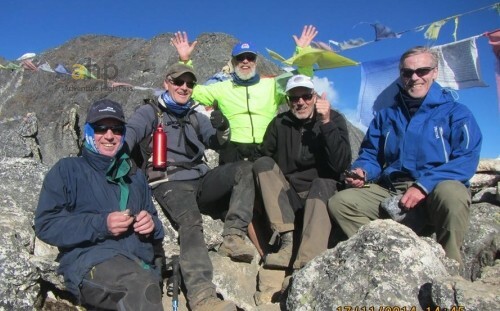 Renjo la also named as Nagpa la that joins with Everest base camp trekking. The trail begins from Kathmandu to Lukla. The route pass to Namche bazaar and Thame which is the heart land of Sherpa ehic community.We head towards Lungden then to Dragya phedi, Lunak Dharmasala and Dzasampa. After crossing these places, we will finally reach to Renjo la pass. After getting some rest, we head Chola pass via Gokyo lake. We will experience the sceneries there and go to our final destination Everest base camp and view the world’s highest mountain peak, Mt. Everest (8848m). Trekkers will be able to explore many other mountains such as Makalu (8475m), Lhotse (8511m), Cho-Oyu (8201m), Nuptse (7864m), Amadablam (6956m), Thamserku (6608m), Pumori (7145m) and many other with extra ordinary view of ice fall. Beside these natural beauties, we will experience culture, tradition, hospitality and lifestyle of Sherpa ethnic community during our stay. It is one of the most frequently visited trails. World’s highest mountain peak, Mt. Everest (8848m) is the most popular and historical trek of Nepal. Trekkers will experience breath taking mountain sceneries. Jiri or Phaplu to Everest is a classic route which is beautiful and popular that takes less time. The jiri valley is also known as Switzerland of Nepal. The valley is marvelous with 16000 populations. It takes seven days to reach Everest base camp. The journey from jiri is a gateway to Everest. Trekkers pass through high hills, view many mountains peaks and experience ancient culture kept unaffected from modern period. The trails traces Dolakha, Ramechhap and finally to Solukhumbu, beautiful valley, experience scenic hills and mountains, people living their, their lifestyle, culture and tradition. Most of the people living there are Buddhist and Kirants. It is a great experience for any travelers who is physically and mentally fit, have good health and except mountain life as the trek is challenging and is in high altitude. Pike peak trekking lying at the altitude of 4090 m is situated in the Solukhumbu region which is also well known as High Solu Trekking that offers 360 degree of mountain panorama. It is one of the beautiful trekking area as it provides inspiring view of sunrise and sunset. It is an off beaten trek trail. During the journey, we visit to Sherpa Villages then from Linkhu Khola we climb through terraced fields exploring rhododendron and magnolia forest. From pike peak, trekkers will iew high mountains such as Mt. Everest, Mt. Makalu, Mt. Kanchenjunga and Mt. 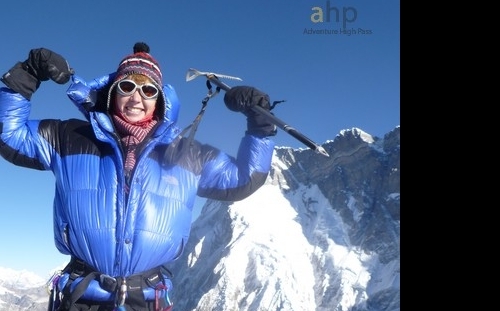 Lhotse and other peaks like Ama Dablam, Mera peak, Kantega and Kusum kanaru. The major source of attraction in this trek is the holy white lake, Dudh Kunda situated just beneath Mt. Numbur. Pike peak(4070m) is an off beaten trekking area but one of the easiest peaks among other peak. Nepal with exciting scenic beauty through which we can view beautiful region Solukhumbu. During our stay there, we will figure out the lifestyle of people living there, culture and tradition. Rolwaling trek is one of the perfect high Himalaya valley lying west of the Khumbu in the eastern part of Nepal. The major attraction of this trek is to experience the remoteness, rich local culture, breathe taking mountain views and diverse flora and fauna. Directly on the Tibetan frontier there is a wild, lonely high valley the “Rolwaling” also called “the grave” by Sherpa’s. The place is very mysterious and non touristic so the trek will be more adventurous and full of curiosity. 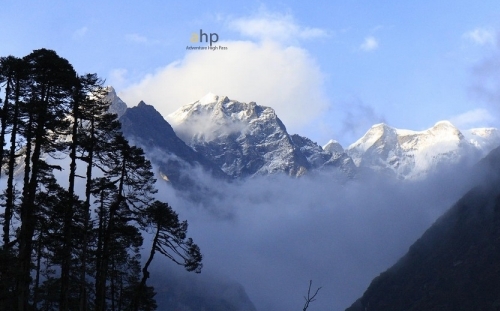 It is an adventurous and overwhelming trekking to the Himalayan region to a beautiful Solukhumbu District. Renjola pass(5435), Chola Pass (5420m) and Kongma_la Pass (5535m) are the three passes which are also called “Khumbu Three Passes”. The journey starts after we land to Lukla then we head up to Khumbu where we can view snow-capped peaks which is always cool and experience the beautiful shade of alpine woodlands. As we pass through, we visit Phakding, Namche Bazaar, Thyangboche monasteries village and then to the high pass, Kongma-La. After we explore the extraordinary views there, we visit Everest base camp and to picturesque Gokyo lake via Cho-la pass. Lastly, we visit last pass, Renjo-La. It is the best trek option for the adventure lovers where we can enjoy, travel and experience high altitude, explore the Himalayas such as Mt Everest (8848m), Cho-Oyu (8201m), Lhotse (8516m), Nuptse (7855m), Mt Makalu (8463m) and many more. During the journey, we will get a chance to experience the lifestyle of people living there, their hospitality and culture. Chola, Everest base camp and Lobuche peak trekking is the famous and adventurous trekking to the Himalayan region of Nepal. Everest base camp trekking is a challenge to all the trekkers as it is the world’s highest mountain peak and many people from all over the world visit here. The trek is the combination of Gokyo and Kalapathar. The trek begins from Lukla then heading towards gateway to Everest, Namche Bazaar which is full of people and usually busy. After passing through many Khumbu villages such as Dingboche, Lobuche, etc. we visit Chola which is 5420m high pass. Then we head towards Everest base camp after passing through rhododendron forest, river bank, and other mountain views. We can view other mountains from the Everest such as Everest (8848m. ), Shishapangma (8035m. ), Gosainthan (8013m. ), Chooyu (8201m. ), Lhotse (8516m. ), Makalu (843m. ), Mera Peak (6476m. ), Island peak (6189m. 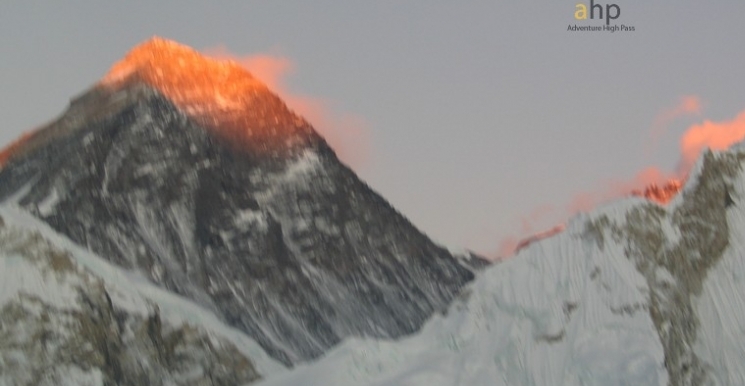 ), Nuptse peak (7,855m. ), Amadablam (6812m.) and many more. After enjoying the mountain sceneries and snow cap peak we head to Kalapathar that takes us close to Mt. Everest (8848m). Near Everest, we visit the Lobuche peak which is near to Everest and has two summit east and west. We need the expertise to climb this mountain as it is challenging and difficult due to steep snow slopes and rocky ascend. 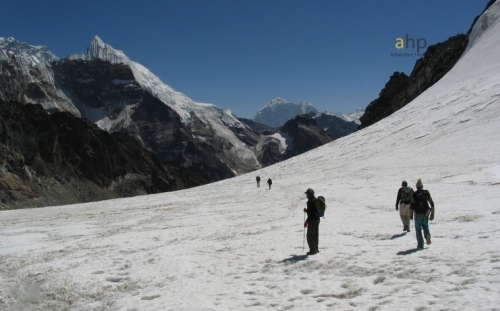 Makalu region is one of the challenging and adventurous treks in Nepal.  Makalu high pass is an adventurous trek which starts from Kathmandu to the flight to Khadbari. We climb up the Kauma Danda for a few days then head to Makalu base camp. After passing one of the challenging paths, we stay there and capture its beauties for a while. The trek is challenging and somewhat dangerous as the trail becomes steep and rough, rocks may fall while passing down to the glacier and crossing it so the trekkers must be very careful and watch out everywhere. Likewise, we cross through other highest pass such as Baruntse Basecamp, West Col, Amphu Laptse base camp, Everest base camp, Tengboche, Namche Bazaar then we finally reach to Lukla. The trek is best for adventure seeker and who can face challenges. The journey starts via Sherpani Pass, West Col and Amphu Laptsa which follows the portion of The Great Himalayan Trail. The trail follows to Barun valley covering pristine forest and alpine pasture land. Through Tumlingtar, we reach to seamy lowlands near Arun and Surreal Barun river after we travel the challenging mountain pass of Sherpani Pass and Makalu base camp. Likewise, we pass through cross West col to Pach Pokhari, Amphu Laptsa and finally to Everest Region. The trail passes through a wide range of diversity of culture and ecosystem. During the trek, we pass through many isolated villages and Himalayas. We explore the world’s highest peak and the fifth highest peak in the world that is Mt Everest and Mt Makalu respectively so the trip is challenging, fun and adventurous. Himalayan trek lying on the opposite side of Mt. Everest at the altitude of south 5,364m and north 5,150m. Everest base camp trek is the adventurous trekking journey for those who want to conquer the cloud high above. The trip begins from Kathmandu to Namche then the journey goes to the Buddhist village full of Sherpas, their culture and Monasteries. The trek is to the world’s tallest mountain, Mt Everest but we will also experience other high and beautiful mountains Mt. Makalu, Cho Oyu, Lhotse, and Annapurna. The trek is challenging and adventurous in the high altitude but is safe, fascinating and enjoyable. Trekkers will be able to trek the highest mountain peak, hike to Kala Pattar, explore Sherpa village and experience their culture, tradition, and lifestyle and also visit schools which were established by Edmund Hillary in Khumjung, a mountain village. Able to walk trail lined with mini stones and discover remote mountain monasteries. Chola pass and Everest base camp are one of the famous and frequently visited trekking areas in the Himalayan region. It is an adventure trekking destination full of challenges that cover spectacular vantage points lying in this region. 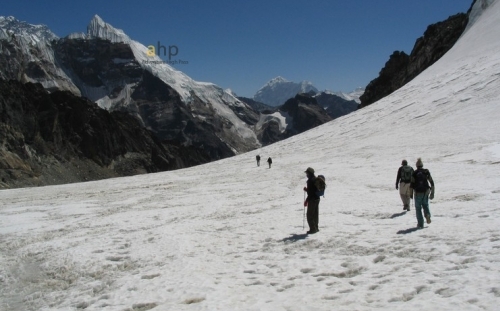 The trek takes us to Chola pass which is one of the famous passes of Nepal and to Mt. Everest (8848m) which is the world’s highest mountain peak. The trek begins from the arrival to Lukla then to Namche Bazaar. To meet our destination, we will cover many beautiful places and valleys of Solukhumbu District such as Tengboche, Dingboche, Lobuche, Gorekshep, Kalapathar, etc. After we head on to Zongla, we will cross the beautiful Cho-La pass. Then the trail goes to Everest base camp which is difficult but adventurous. Trekkers will experience high altitude, view fantastic and breathtaking mountain views, enjoy awesome sceneries. It is the most popular and adventurous trek one would ever experience. Trekkers will be able to explore the lifestyle and humanity of Sherpa communities, their culture, and tradition. Besides we will experience beautiful and overwhelming natural beauty and sceneries. The trek is adventurous, challenging and suitable for those who are energetic and physically fit. The trail is famous for trekking and climbing as well. The trek starts from Lukla then to Namche Bazaar which is the gateway to Everest. 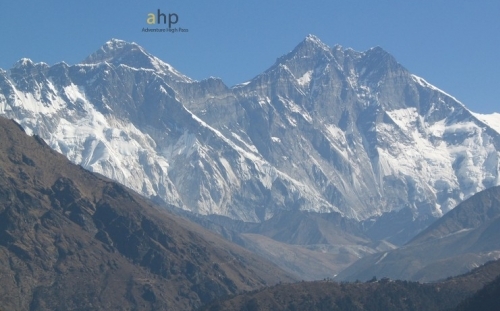 The wonderful trekking trail takes you to the heartland of the Khumbu valley and Everest base camp (5,357m/17575ft). We will get chance to explore the world’s highest mountain peak of Mt Everest (8848m) and Island peak (6,189m/20,305ft) which is one of the famous and main climbing peaks in the Himalayan region. It has an impressive and highly glaciated West face that rises from the Lhotse Glacier. The peak climbing is very challenging and has been designed very professionally by taking care of proper and gradual acclimatization at suitable intervals. We will also visit Kalapathar, villages and experience the culture, rituals and tradition of people living there. The trek is wonderful but difficult as it is in high altitude, rock ridges, steep snow headwall, etc. Everest luxury trekking is the world’s finest, famous and adventurous trekking trail into the Himalayan region. It’s a great opportunity to visit the trail that has world’s highest mountain peak, Mt Everest (8848m) which was conquered by Sir Edmund Hillary and Tenzing Norgay Sherpa in 1953. It’s an amazing trail one should ever try in their lifetime. The trek begins after we land to Lukla and start the journey to busy mountain town, Namche Bazaar which is the gateway to the Everest. The trail follows Pongboche, from a hike to the Amdablam base camp is done. The major attraction of this trek Is Mt. Everest and also to view other series of mountain peaks such as Makalu (8475m), Lhotse (8511m), Cho-Oyu (8201m) and many more. Trekkers will explore the world heritage site, Sagarmatha National Park with various flora and faunas. 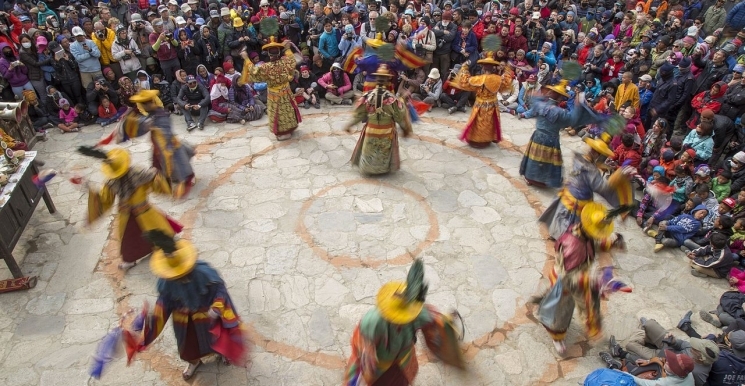 During our stay, we will be able to explore the culture, tradition, hospitality, and lifestyle of people living there (most of them are Sherpa and Buddhist). Another remarkable feature is that travelers will have the opportunity to stay at the finest local luxury lodge so that they can take proper rest and enjoy the sceneries of Khumbu valley.